Hi, I’m Laura, yoga teacher, traveler and continuous yoga student! I’ve been teaching yoga since 2011 and practicing for more than 18 years. Before becoming a full time travelling yoga teacher, I worked as an interpreter in Brussels. Yoga helped me balance a stressful job and slowly took more and more space in my life. In 2016 I decided to follow my passion for yoga to not only travel the world, but to keep learning, understanding and studying the meaning of yoga in different cultures. Yoga and meditation has helped me immensely in my life, and I am blessed to be able to share the gift of yoga and help people find their path. I’m truly passionate about helping people find their inner peace and calm by bringing them powerful yoga techniques that resonate with them. 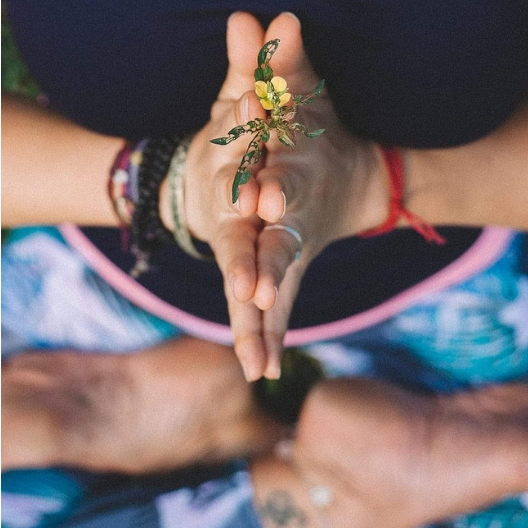 One of my most important missions is to help busy people find true relaxation by organising yoga retreats and holidays designed to get them in tune with their core, connect with nature and find a community of like-minded souls. As a certified life coach and NLP master, I also love to connect with new clients and guide them towards their own journey to self-awareness and personal growth. How I became to love yoga? My first encounter was completely out of curiosity- but as I progressed and became more experienced, I dedicated more and more time to the practice of yoga. It helped me relax, plus my health and sleep improved dramatically. In 2011, I took a plane to Goa, India and did my first 200-hour Yoga Teacher Training Course (TTC) with Himalaya Yoga Valley. After that first training came many more in Yin yoga, hatha yoga, myofascial release, Ayurvedic yoga and more. I love to keep learning and expanding my knowledge in the multiple aspects of yoga. I have attended numerous workshops and training courses worldwide to continuously enhance my understanding of yoga, especially the more devotional side. I spend extended periods of time in India practicing with respected masters. I’ve evolved from a very strong Ashtanga practice to a softer, yet demanding, hatha practice. I teach a mix of different styles, concentrating on accessibility to everyone, offering modifications and practicing ahimsa (non-harming) and total acceptance of the student. Breathing is a key component of my classes and I usually start with a pranayama practice. I correct alignment if I see it could cause injury, especially in beginners, but trust more advanced practitioners to be aware of their alignment and needs according to their bodies. I rarely give hands-on adjustments, as I think the body should use its own timing to progress into the posture and it’s not healthy to push. I always encourage rest and awareness of your energy levels. What’s right one day may not be the next. We must work with our cycle, not against it. I am truly driven to bring busy people a peaceful way to relax deeply. 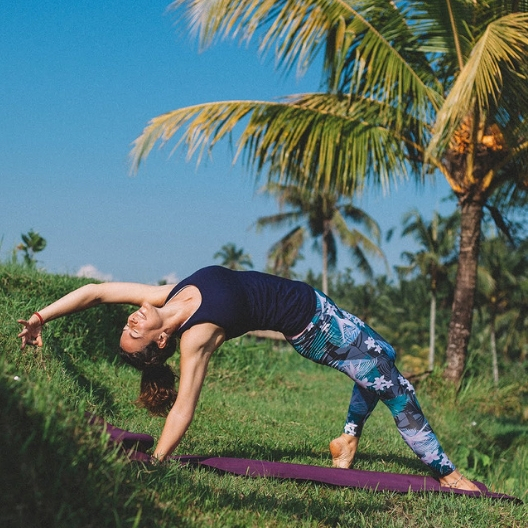 My yoga retreats are set in amazing, off-the-beaten-track locations to provide you with the exact environment necessary to switch off and reconnect with yourself. Come with me as we navigate this journey of mindfulness and discover how to truly relax together!